When assessing your property, we look for soil-related issues around your foundation that could potentially lead to the settlement. Some soil issues include poor drainage and soil shrinkage. 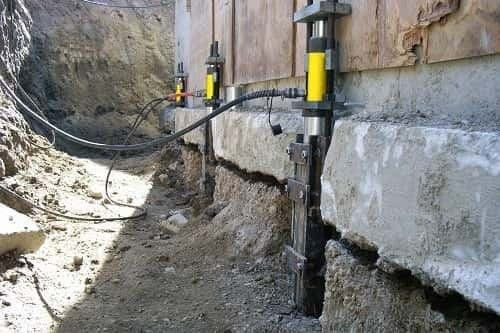 Underpinning Solutions consists of helical piers and steel push piers to stabilize foundations back to normal. Shoring Solutions utilizes soil nailing that is used to secure retaining walls. Piling Solutions implements augercast piles to support towers, bridges and other structures. For quality service in the Lancaster area, contact us today so we can handle your structural needs. No job is too large for us to handle. We use the latest structural repair products from Earth Contact Products to restore your structure. In addition to foundation repair, Matthews Wall Anchor also offers a wide variety of other commercial services. Contact us to learn more about all that we have to offer your Lancaster commercial property. We provide free estimates, so let the experts at Matthews Wall Anchor assist you.